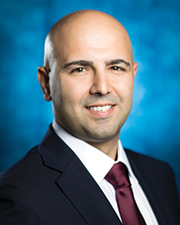 New York, NY According to Daun Paris, president of Eastern Consolidated, Rubin Isak has joined Eastern Consolidated’s Investment Sales Division. Isak, who has closed over $350 million in commercial and investment property sales, will specialize in multifamily, mixed-use, retail, and development assets in Manhattan and Queens. Isak said, "My team and I are thrilled to be joining Eastern Consolidated. Our expertise in investment sales will be enhanced by Eastern’s platform." Prior to joining Eastern Consolidated as a senior director, Isak was the founder and president of Goldenwood Property Advisors, an investment property sales firm. He began his investment sales career at Massey Knakal Realty Services (now Cushman and Wakefield) as director of sales. One of his signature deals includes being involved in the sale of the Bassuk Portfolio, a 14-building, 943-unit, 841,000 s/f, multifamily package in Queens and Brooklyn for $118 million. Isak is a member of the Community Housing Improvement Program (CHIP), the Real Estate Board of New York (REBNY) and the International Council of Shopping Centers (ICSC). He earned a BBA degree in International Marketing from Baruch College. Isak’s team will include his brother, Alex Isak, who has joined Eastern Consolidated as a director. Previously Alex Isak was director of sales for Goldenwood Property Advisors, specializing in investment sales on the Upper West Side. He earned a BS degree in Legal Studies from John Jay College.